Opponents of Boston's luxury housing boom are warning of another prospective danger beyond raising rents and forcing out longtime residents -- tax evasion and money laundering under the cover of the multimillion-dollar condos sprouting through the sky. "Boston’s past and current city administrations have permitted an explosion in luxury real estate property construction that is reshaping the city’s skyline and economic composition," reads a new report, titled "The Perils Of The Luxury Real Estate Boom For Bostonians." "With thousands of new luxury units either under construction or seeking permits, city officials ought to be seriously exploring the perils these units pose." Those perils are far from a foregone conclusion, but the report warns Boston's housing market could become (or already is) a major haven for people trying to hide money from prying governments. The report comes from the left-leaning Institute for Policy Studies, a D.C.-based think tank focused on issues that include racial and economic justice. It wends through a loose array of conclusions, but perhaps most interesting for housing advocates is the analysis of the ownership of condos in a dozen luxury developments across the city. The study looks at 1,805 units with an average price of $3 million, and finds a large number of them are held under LLCs, trusts and shell corporations that obscure the real owners. That's not illegal, and the report does not point to any illegal activity. But its co-author, Boston-based Chuck Collins, says the shell game could be providing cover to crimes like tax evasion — and warns the city should be vigilant. "When you see a Delaware LLC buying a $6 million condo with cash and you can’t trace the owner, then you have to ask: 'Why is this property being purchased? Is it money laundering?' " Collins said. Collins says the global elite are sheltering more and more of their money in tax havens — and he points out that by some estimates the United States has become the world’s second-biggest tax haven after Switzerland. Boston, he says, with its booming real estate and lax federal oversight, could make the city a prime target. As many as two-thirds of the condos dissected in the report are not associated with residential tax exemption status. That's evidence, Collins says, that they're being used either as secondary residences, or for what he calls “wealth storage,” i.e. pure investment vehicles that provide no actual housing for city residents. Combine the undisclosed buyers with cash purchases, and Collins says that ought to raise eyebrows. "We spot-checked some of those buildings and found there were large numbers of cash purchases by shell corporations, which is sort of a red flag for possible use of illicit funds," Collins said. "They have very high percentage of non-resident ownership, they have a very high percentage of shell corporations. ... If we were in Miami or New York those are the buildings that the Treasury Department crime division would be investigating." The study points out that Boston is not among the cities monitored for illicit real estate dealings by the Financial Crimes Enforcement Network, or FinCEN, a Treasury Department program designed to combat money laundering. Mayor Marty Walsh's housing chief Sheila Dillon was not available for an interview Monday. But Dillon acknowledged in a statement that anonymous ownership of luxury condos could be a problem in Boston. She said the city will ask to be added to the list of cities scrutinized by the feds for anonymous, big-money real estate deals with potential ties to criminal action. "It should go without saying ... that every unit of housing being built should be occupied to help ease Boston's housing shortage," Dillon said in the statement, pointing to the mayor's recently signed ordinance prohibiting investors and tenants from renting through Airbnb. Condos reviewed in the Institute for Policy Studies report range in price from several million dollars to the $40 million penthouse of One Dalton Place. 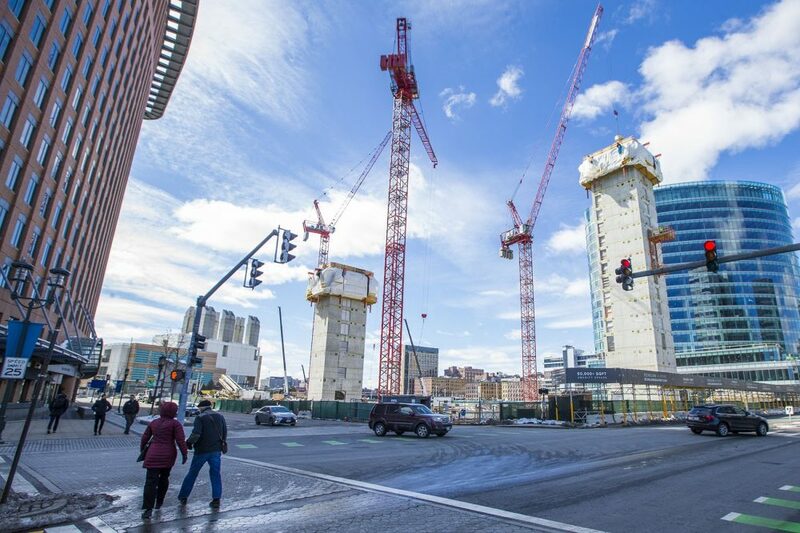 The 61-story development in the Back Bay is still under construction, but developers say they carefully screen potential buyers, and have even turned down people looking to buy clusters of investment units. "The vast majority of the buyers are from the Greater Boston area and this will be their primary residence," said Dianna Walsh, spokesman for One Dalton developer Carpenter & Co., in a statement. "Suffice it to say, there are no Russian oligarchs here." One Dalton may be an exception — details of its ownership are not included in the report — but foreign capitalists aren't the only concern raised in the 54-page paper. It also takes aim at the luxury housing boom for cementing inequality and "driving up the cost of land in central neighborhoods, with a ripple impact on the cost of housing throughout the city." But Dillon says in the statement that market rate housing has helped fund thousands of new affordable homes, through the Inclusionary Development Policy, which forces developers to contribute to the affordable housing stock. For City Councilor Lydia Edwards, however, more needs to be done for middle-class and low-income housing, especially in light of the new report. Edwards says instead of putting people’s housing at the center of the agenda for the New Boston, that kind of housing is being treated as second class to the luxury boom. "I’m more scared about us looking 20 years back and saying, 'With all the potential, with all the wealth that Boston was generating, we did not take the opportunity to really help make the city more equitable, because the money was there,' " she said. It’s clear Boston faces a housing problem, but it's less clear that the growth of the luxury market is to blame. Sam Tyler, president of the Boston Metropolitan Research Bureau, says Boston depends heavily on the tax revenue that comes from new development. And the luxury housing market, with many of the developments cited in the report permitted under Mayor Tom Menino, is not something the city is in a position to change. The city "is not necessarily encouraging luxury condominiums and the construction of those, it’s just that that’s the kind of housing that can be built downtown," said Tyler. 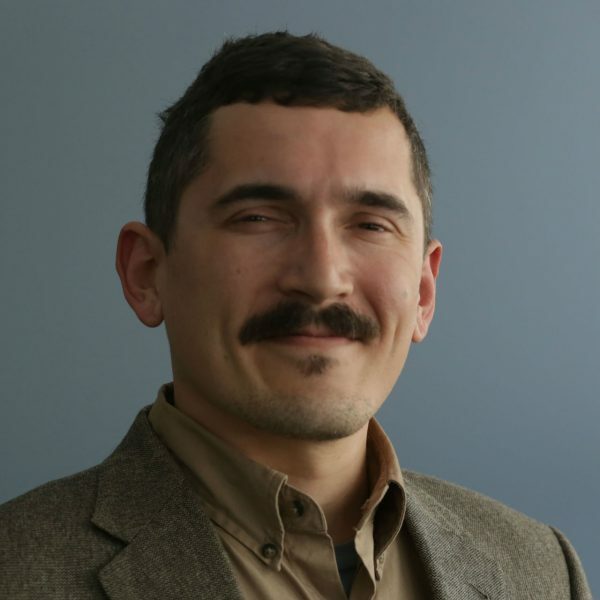 As for the proposal to tax vacant units — one of several policy recommendations in the report — Tyler points out that only the Legislature can levy taxes, and that's unlikely to happen in the current political climate. "I wouldn't be surprised if there was resistance," he said. This segment aired on September 11, 2018.